Jasper, the dachshund, believes he can win a big sled race—even if no one else does. His feisty spirit and creativity help lead his team to victory in Sled Dog Dachshund by debut author Laura Atkins. In Grandma and her Chocolate Labrador, Grandma’s inner life is shared with readers. This gentle story speaks to the sweetness of nostalgia and friendship at any age and how learning and growing never cease. 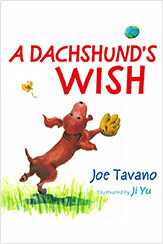 A Dachshund’s Wish follows Paws, an endearing, fun-loving dachshund puppy, on his quest to become a real boy. While on his quest, Paws discovers the meaning of friendship, loyalty, and self-realization. 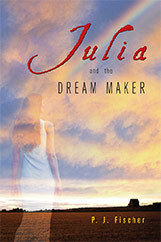 In Julia and the Dream Maker, controversial bio-engineering unintentionally creates a new species. 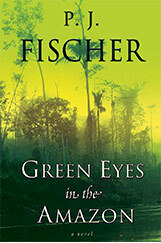 In the series sequel, Green Eyes in the Amazon ethical dilemmas abound as her parents struggle to keep her alive. Religion and science confront the future. The book recounts the discovery of a century old memory book by a New York woman. The story connects the author with a global community, contemporary New York, and the tumult of the early twentieth century as WWI erupts. 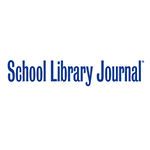 To kick off our 15th anniversary, Minted Prose publisher Linda Fischer created a list of Top 10 Finds that she discovered in her travels related in one way or another to the company's publishing journey. A dog longs to be a boy. ZoOm Hungary is offering a a tour of key places mentioned in The Memory Book. It will show what life was like for the young artist who penned the memory book. This tour reveals the remnants of the Austro-Hungarian Monarchy described in The Memory Book. © 2003–2018 Minted Prose, LLC.